Last week I attended the book talk for Colin Jerolmack's The Global Piegon. 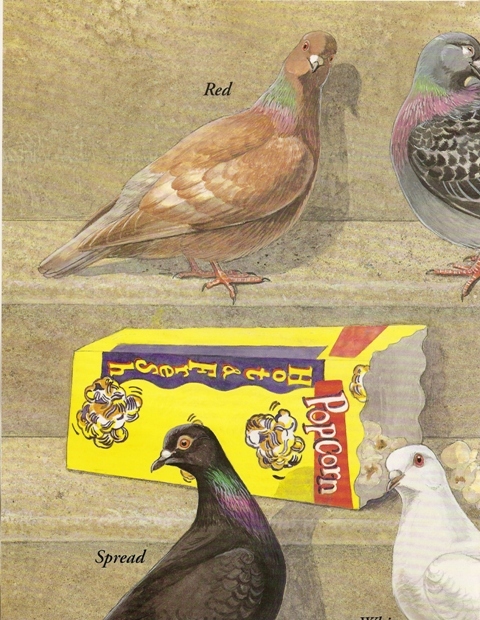 Jerolmack's book is not a natural history of the pigeon, per se. Rather it uses the pigeon as a way of sampling the human population for an ethnographic study, according to Harvey Molotch who toasted Jerolmack at the book talk. The Global Pigeon is based on Jerolmack's dissertation research. He started out broadly looking at how people use space in cities. 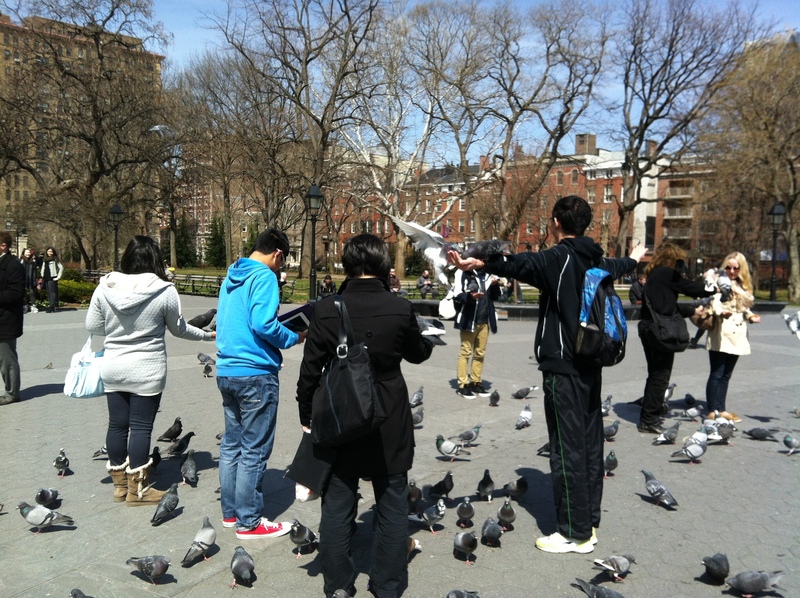 The beginning of his research coincided with New York City's anti-pigeon policies and practices. He took notice. He attended public meetings and residents complained about messy pigeons -- certain types of people fed them and the pigeons excreted their waste messing up public space. Pigeons have thrived in cities because of their relationship with people or people's relationship with them. 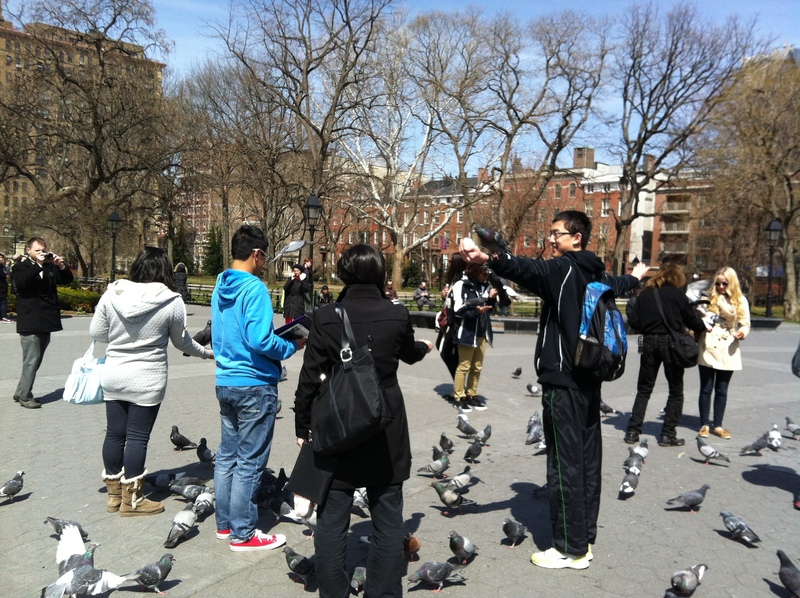 One of the ways this relationship manifests itself is pigeon feeding in parks. Although pigeons eat seeds and fruits, they access to an abundance of "food intentionally or unintentionally left by people." Another way in which pigeons have become intertwined with humans is through the practice of pigeon flying. Jerolmack told the audience that in New York, pigeon flying was initially the purview of white ethnics. However, as younger generations of white ethnics proved disinterested in the animal practice, the older men (and its almost exclusively men) hired your black and Puerto Rican boys as assistants. These boys grew up to fly pigeons. In NYC, Jerolmack argues that animal practices around pigeons transcend ethnocentrism. He contrasts this situation with his work in Berlin where Turkish immigrants fly pigeons but the practice is used to "carve out a separate space in the larger German society." He also observed the Million Dollar Pigeon Race in South Africa - at the other end of the socio-economic spectrum - but found that that for all these populations, communities are formed through animal practices. As Molotch stated in his introductory remarks, the relationships between people and (wild) animals, particularly in cities, is not one of pure biophilia, but one that "works through social bonds." The talk ended with a Q&A session. A member of the audience asked about the different perceptions of bee keeping and pigeon breeding and Jerolmack provided a fascinating answer about "class coded animal practices." Bee keepers tend to be affluent and white while the rooftop pigeon breeders tend to be working class. Pigeon racers in New York tend to be union men (fire fighters, police officers, steam fitters, etc.). 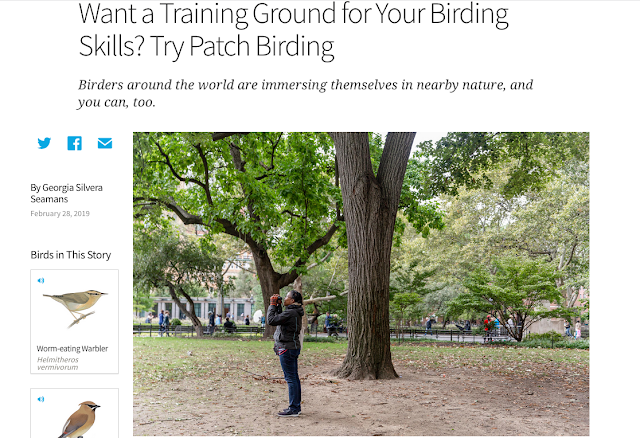 Pigeon flyers "have not been able to hitch their activity to sustainability," said Jerolmack. He was told by an official in Chicago, that bee keeping is progressive and raising pigeons is backward. The pigeon is not a charismatic animal! As a child, my cousin and a neighbor flew pigeons. I always had positive associations with pigeons until I experienced them in an urban context. I'm still thrilled by their flying. What about you -- how do you feel about pigeons? Anonymous, thanks for sharing your enthusiastic feedback on the book.